In the past, Samuel Jackson used a mechanical device called Electric Banjos to maintain robust air for high air volume pull-through drying. 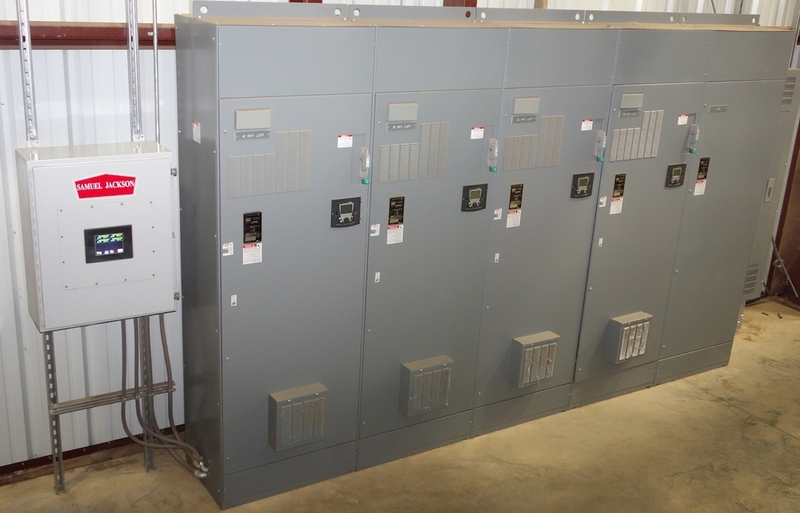 Now we use Variable Frequency Drives (VFDs) for the same job. For anyone that has used a VFD, they are simple in principal, but almost never easy to adjust with complex menus accessed from a small keypad. The Air Control 8 (AC8) acts as a translator to provide the ginner with easy to understand information about fan speeds that does not require reading the manual or calling your electrician every time you would like to make an adjustment. The AC8 can remotely monitor and adjust up to 8 Banjos or VFDs. It also interfaces with the Moisture Mirror 3X and 4X, so an operator can monitor and adjust Banjos or VFDs from the console. Check out our Controls Catalog for more information about what an Air Control 8 can do for your gin!